As part of its strategy to provide its customers more options for access to 13.56 MHz technologies, contactless and contact smart card manufacturer Indala, San Jose, Calif., has become a licensee of LEGIC Identsystems Ltd., a Swiss-based developer of contactless smart card technology for personal ID applications. LEGIC has over 180 partners licensed for applications such as cashless vending; time and attendance; parking; and access control. Chicago, Illinois–LEGIC® Identsystems Ltd., the world’s leading developer and supplier of contactless smart card technology for personal identification applications, says it has signed a license agreement with San Jose-based Indala Corporation, the security technology company that develops and manufactures contactless and contact smart cards and readers. Indala, known worldwide for delivering highly secure, customized card access solutions for government and commercial applications, has an installed customer base that currently exceeds 100 million cards and two million readers. Indala has licensed LEGIC’s 13.56MHz contactless smart card platform to provide users full access to the highly secure, single identification, credential authorization management system. 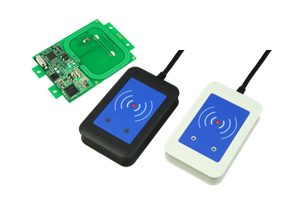 LEGIC is the originator of the 13.56 MHz frequency, contactless and secure RFID technology platform for access control and other identification applications. The company’s high security, Master-Token System Control is currently applied throughout its world-wide partner channels ranging from OEM manufacturers to end-users. LEGIC’s licensed partners integrate the company’s LEGIC all-in-one-card technology for secure identification in multiplication’s such as cashless vending, time and attendance, parking and access control. Widely adopted throughout Europe and Asia, LEGIC’s contactless smart card technology continues to grow market share with newly opened North American business offices in the United States. Currently, LEGIC has 180 licensed partners throughout the world and has installed its smart card technology in more than 50,000 separate installations, delivering over 60 million transponders and 800,000 readers. LEGIC Identsystems Ltd, headquartered in Switzerland, is the world leader in the design and manufacturing of 13.56MHz contactless smart card technology. LEGIC’s product portfolio includes highly integrated LEGIC RF Standard, ISO 15693 and ISO 14443 compliant read/write chip sets, security modules and transponder chips for integration into third party products. LEGIC Identsystems currently works with over one hundred and eighty licensed partners world-wide who have installed over 50,000 13.56 MHz LEGIC based systems. LEGIC’s global network of partners offer a broad range of LEGIC all-in-one-card applications including access control, biometrics, cashless payment, parking, e-ticketing and other multiapplications for the transportation, higher education, healthcare, hospitality, leisure facilities and corporate facilities industries. LEGIC Identsystems in the United States may be contacted at (630) 717-5843 or by emailing [email protected] Worldwide corporate headquarters are located at Kastellstrasse 1 Wetzikon, Switzerland 8623; tel: 41 1 933 64 64; fax: 41 1 933 64 65; [email protected] For additional information about LEGIC and the company’s products go to www.legic.com. Indala Corporation is a leading security technology company that develops and manufactures 125 kHz proximity; 13.56 MHz contactless and contact smart cards; and associated readers for physical and network access-control applications. Indala is renowned for delivering highly secure customized card access solutions for government and commercial applications around the world. Founded in 1985, Indala’s installed customer base exceeds 100 million cards and two million readers. Indala was acquired by ASSA ABLOY in November of 2001. The company’s headquarters is located in San Jose, California. For more information, call 408-361-4700 or visit the Indala website at www.indala.com.